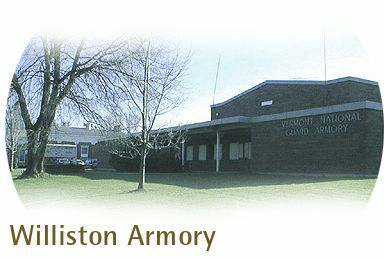 The Armory in Williston was built in 1958 on the site of the "Old School House". The land encompasses roughly 2.5 acres in the center of town. Walls are typically red brick, structural concrete block back-up. The flooring varies from concrete, in general areas, to resilient tile in offices and classrooms. There is ceramic tile and structured glazed facing tile in the toilet/shower areas. The building is frequently rented out to public/private groups to hold a variety of functions.